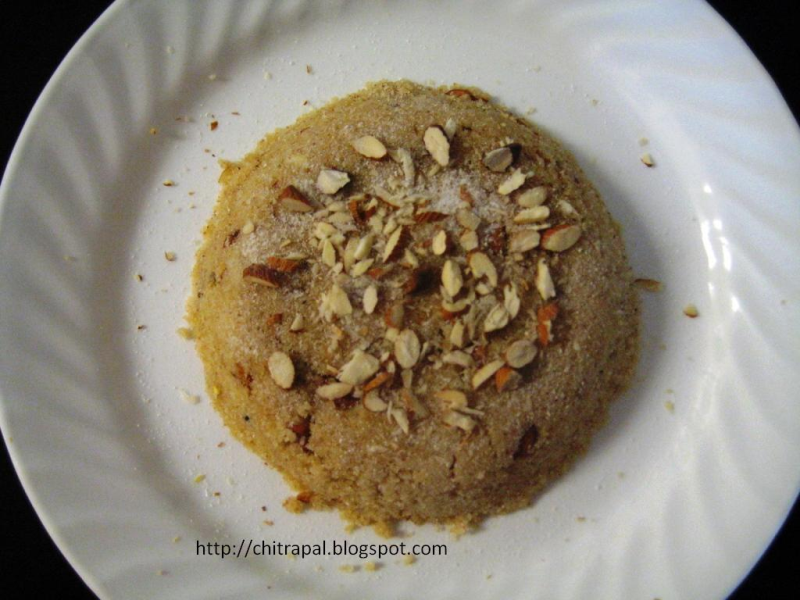 Sooji / Rava / Semolina / Farina ka Halwa with lots of Dry Fruits. 1 tsp of Zafran/Saffron soaked in 1 tsp. of warm water for 5 mins. Heat a non stick deep dish pan on med low heat. Add butter and stir it continuously, keep an eye on butter so that it does not burn. Now add Sooji and stir it till it turns light brown, Cook on low heat (it will be cooked when you can smell it outside your kitchen also), it will take around 5-8 minutes on low heat. Now add water to it add till it turns thick. Garnish with some dry fruits and serve hot and some saffron petals. a tsp of zaffran is too much. Just a few strands dissolved in a little warm water or milk would give the flavour and colour. Hi, using milk will be a better idea than water for this Halwa as it enhances the taste. Give it a try and enjoy! cant we add milk or khoya?